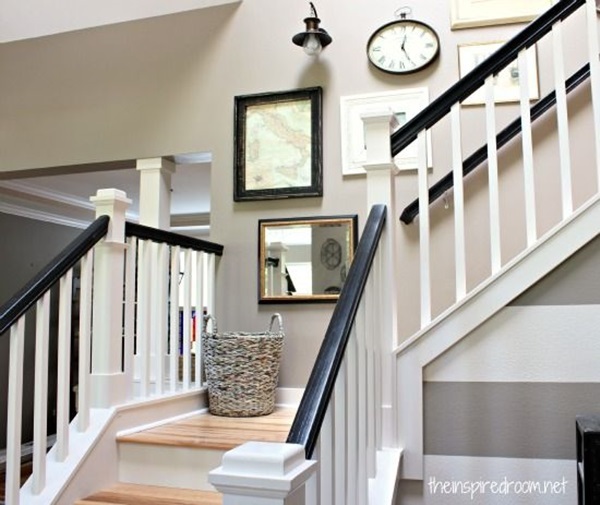 If you have a stair wall to decorate, then it is obvious that your abode has a stair, which means that you are moving up in life (pun intended). 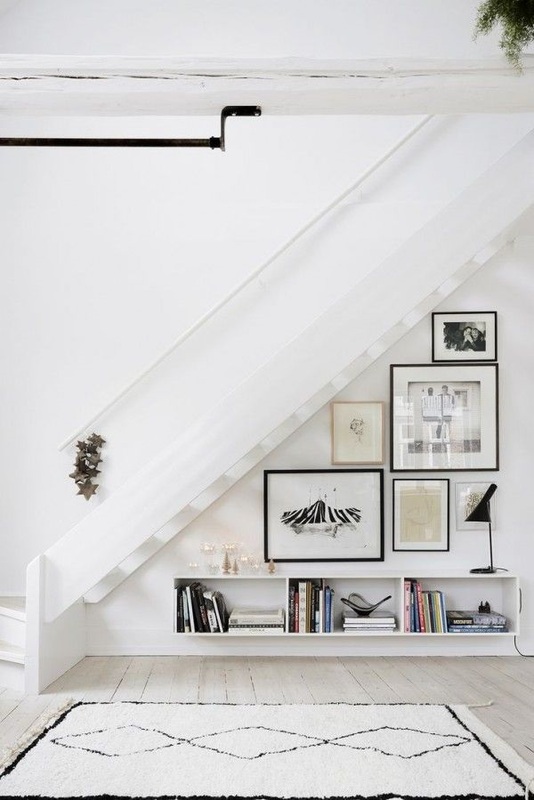 Having a stair and thereby a stair wall adjacent to the stairs is definitely an uplifting thought (there is that pun again). 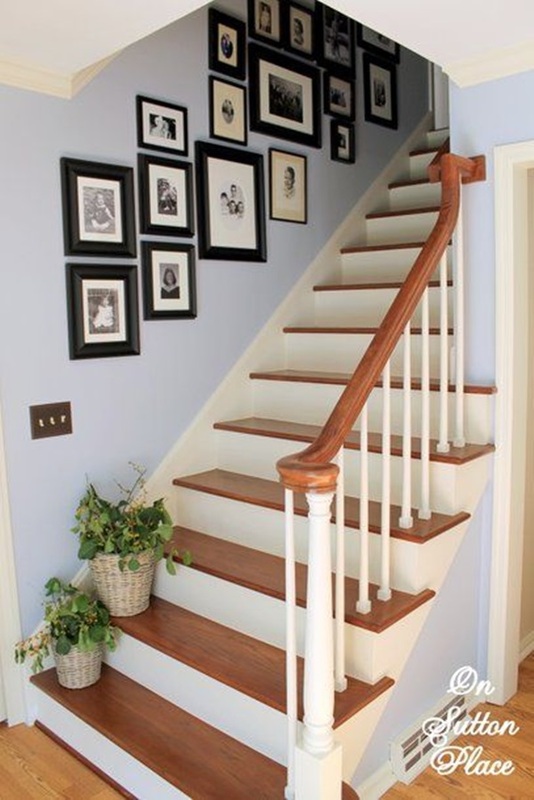 Jokes apart, the stair wall decoration is a joy to do given the location of the area you are decorating on. 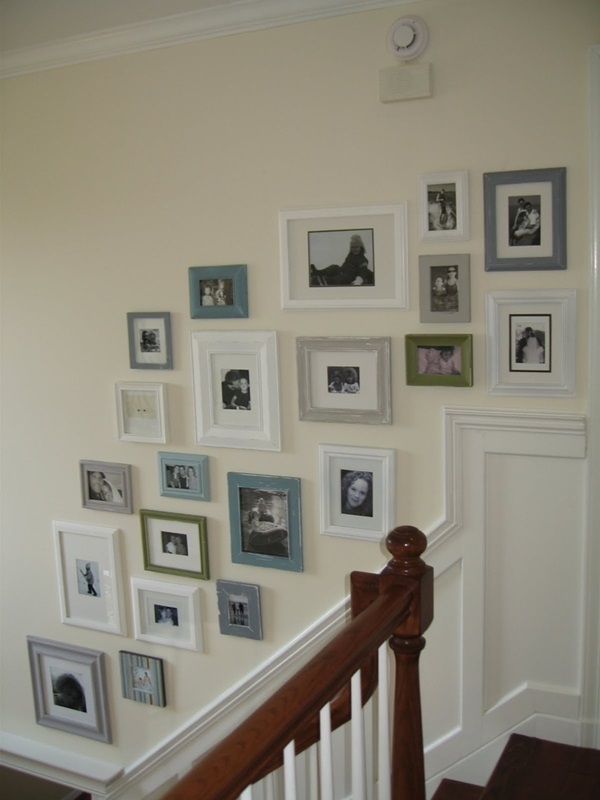 You can always decorate this area with photos of the family but if you want to be adventurous, then go with useful and creative DIY ideas to try and make things interesting. 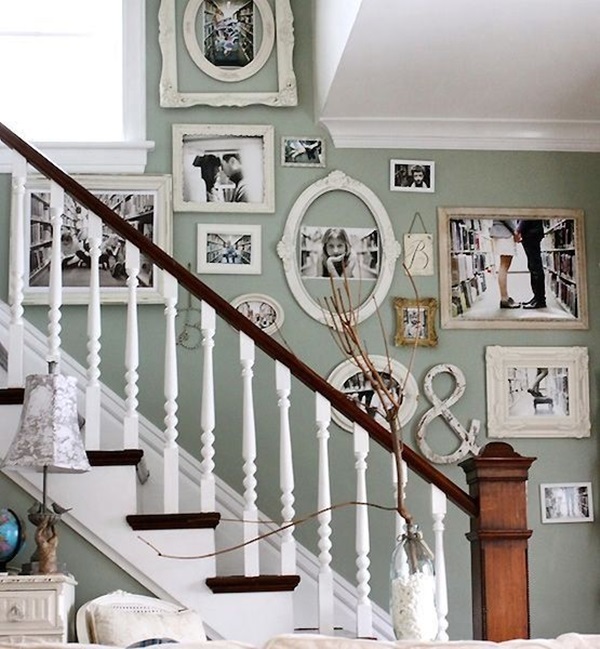 If you are the type who is into using your hands creatively, then you can also use the art of creating beauty with thread work to add to the décor of your stair wall. 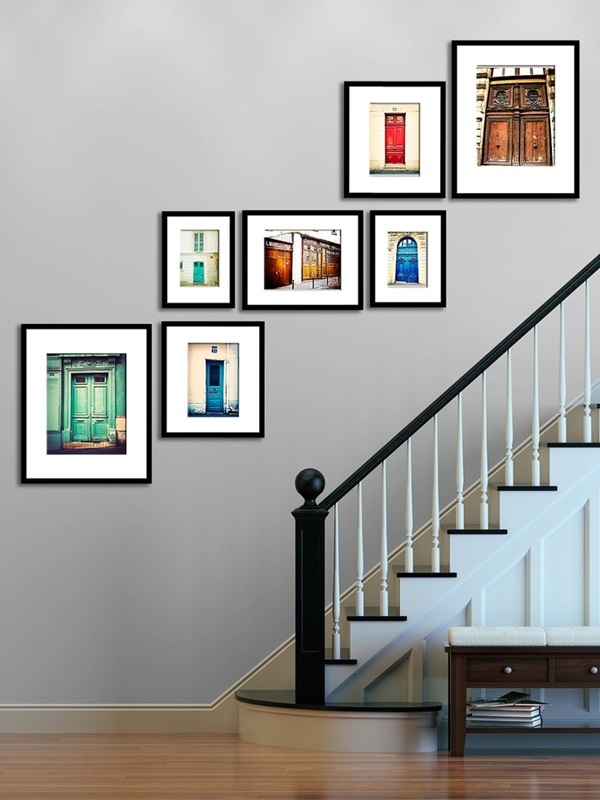 Or you can simply use the most beautiful pictures of villages around the world to make your own corner of the world look great. 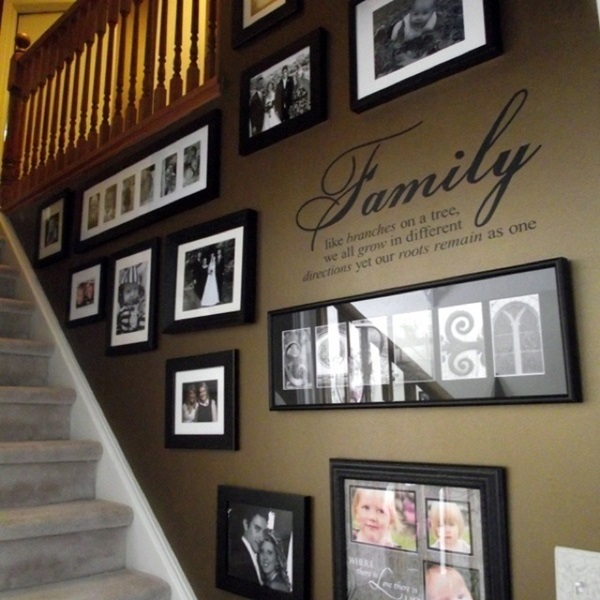 A family tree: This is an oldie but definitely a goldie because it still works and charmingly so. 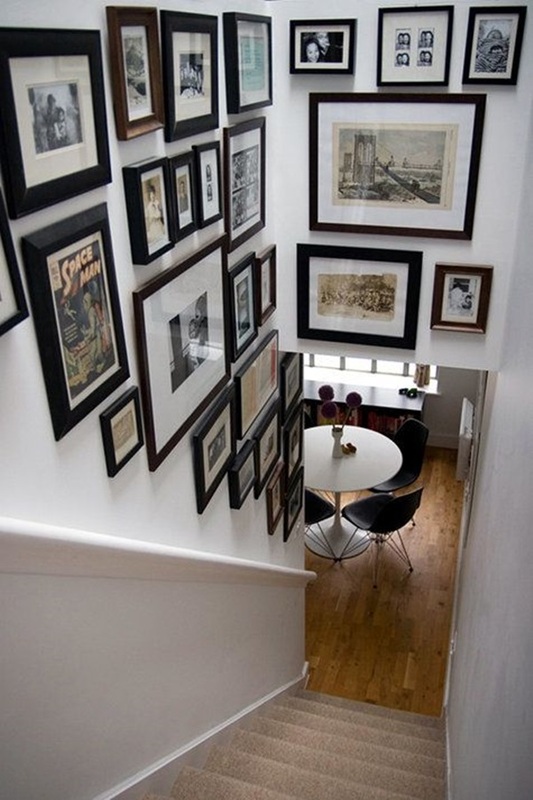 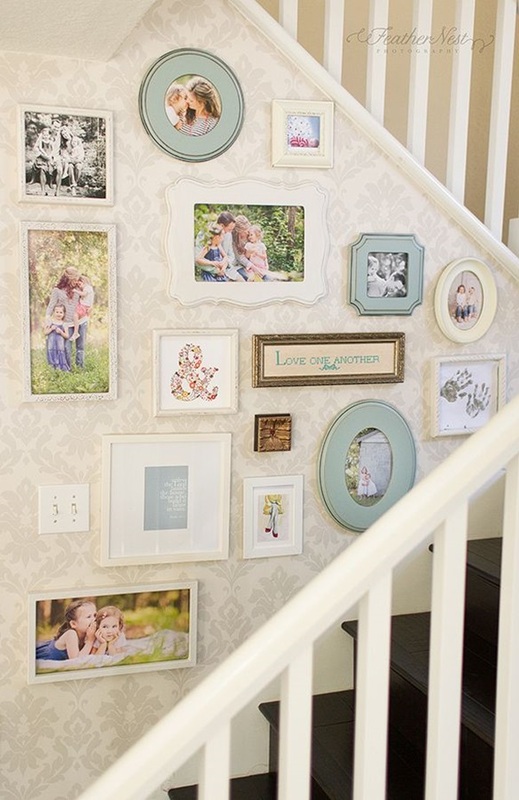 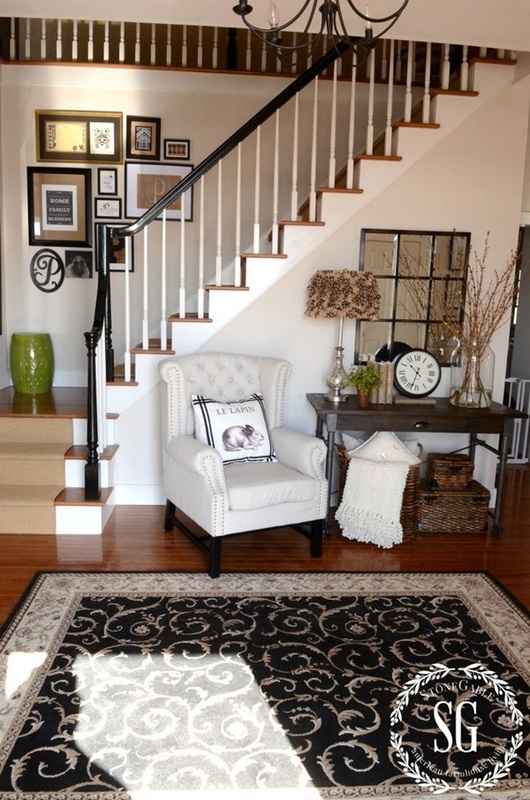 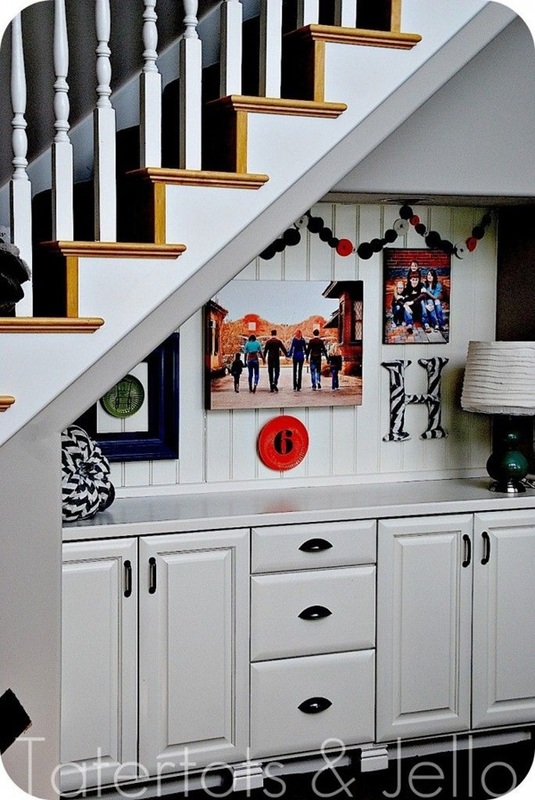 One of the best ways to decorate the wall next to your staircase is by putting together a collection of family photos. 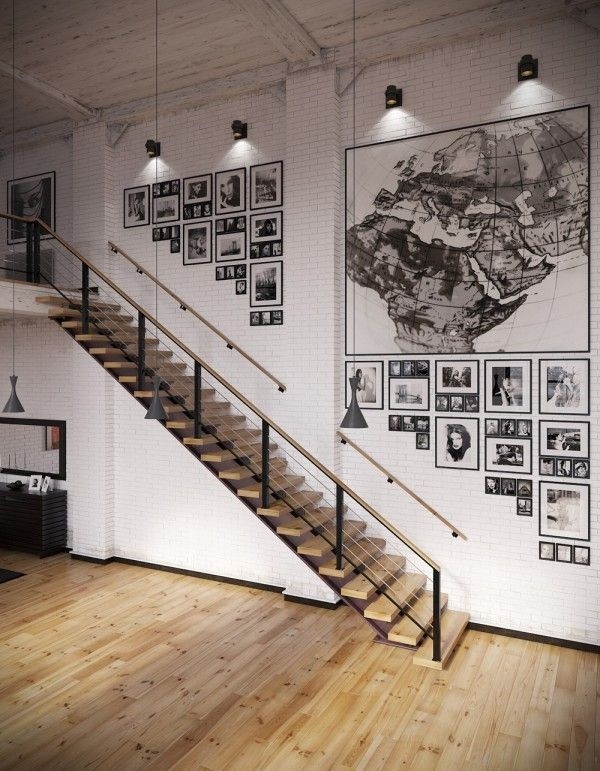 This could either be in the order of generations or a mix based on genders. 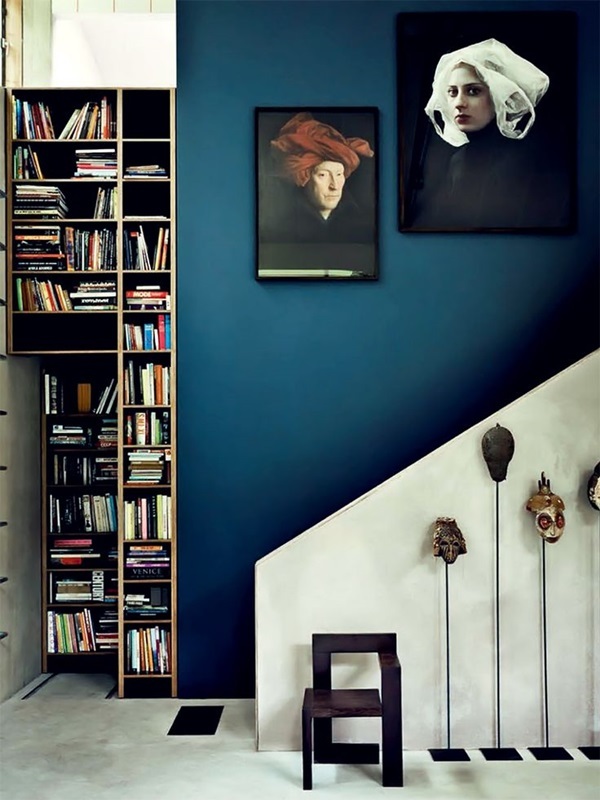 If you are so inclined, then you can go for something like the eldest child of each generation or on the basis of people who look similar. 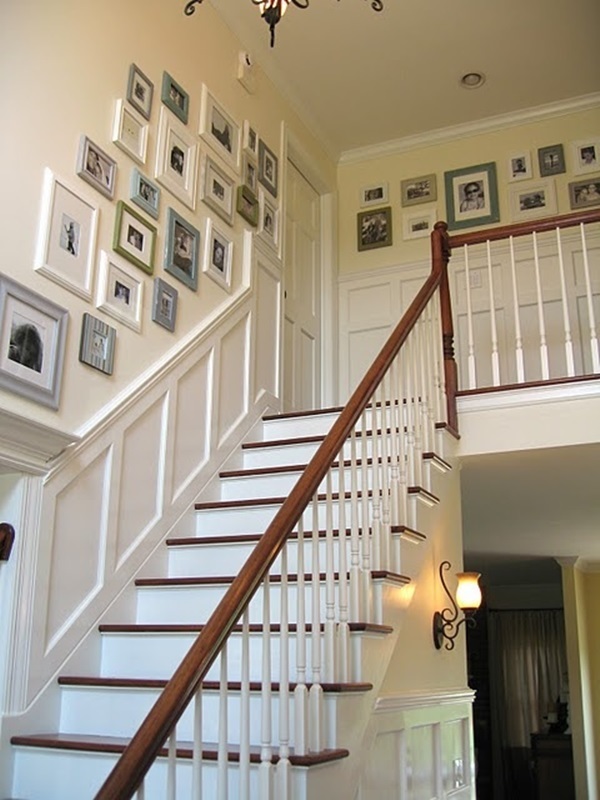 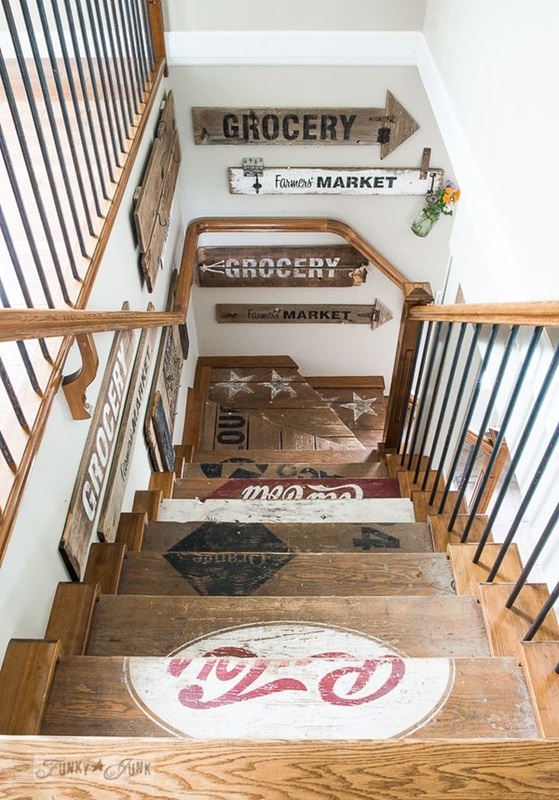 Memorabilia: The stair wall can also be decorated with the many memories that a family holds precious though the stuff that you display may not have that much in terms of economic value. 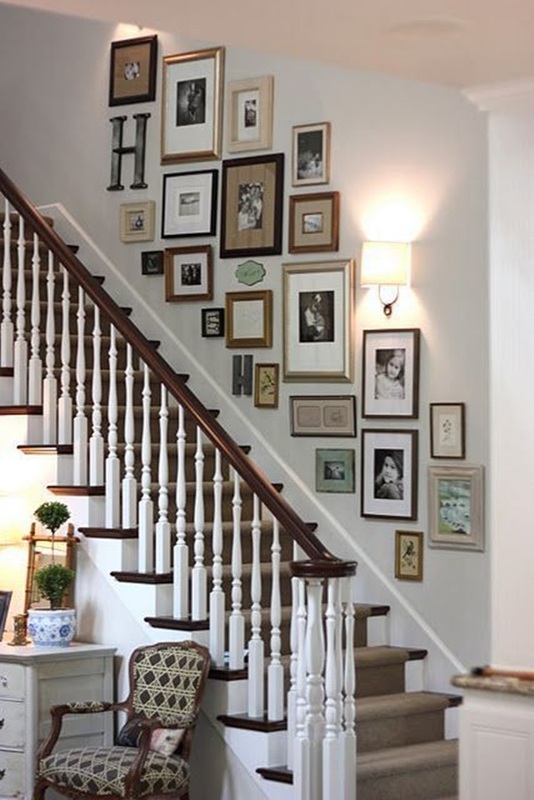 The only reason that these are displayed is because the whole collection is the journal of a family’s journal and is there to remind them of what is important, that is being charming to look at. 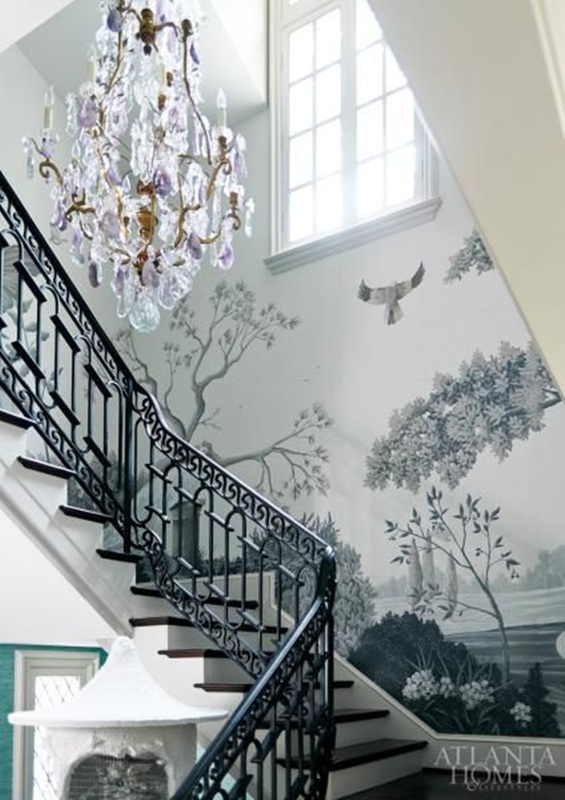 A wall mural: If you have the means to do so, having a mural done on this wall also makes a lot of sense. 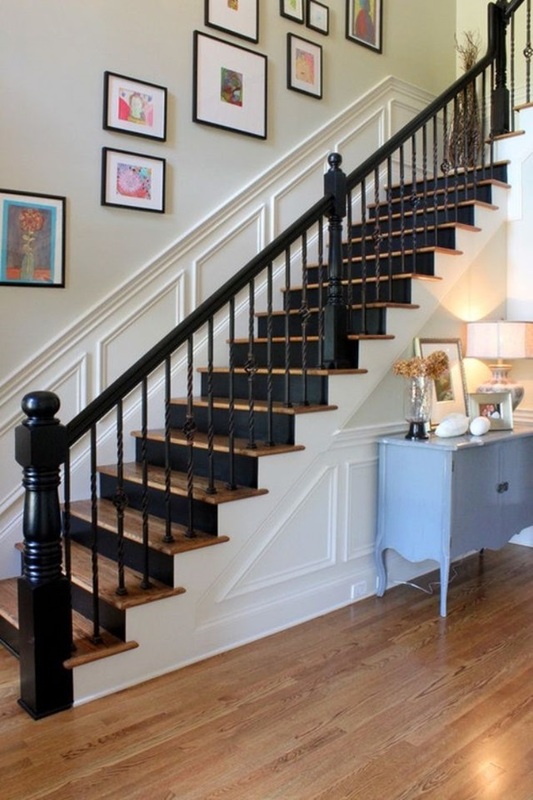 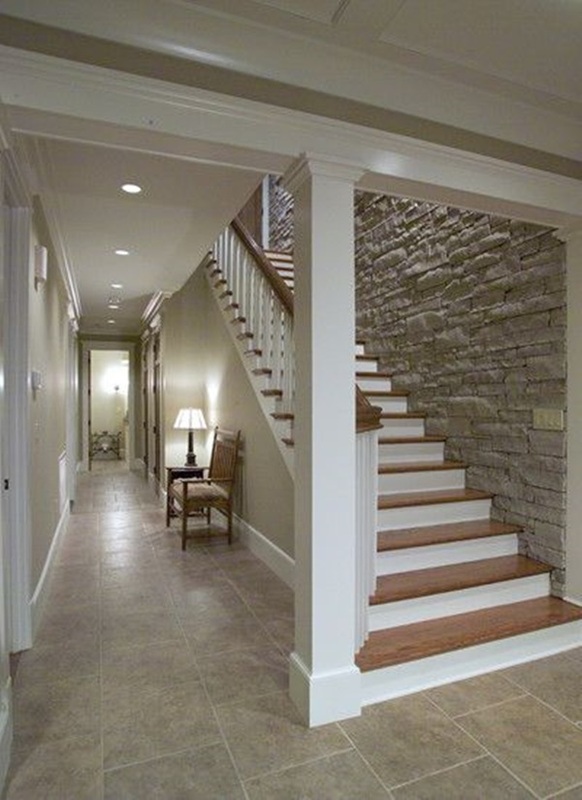 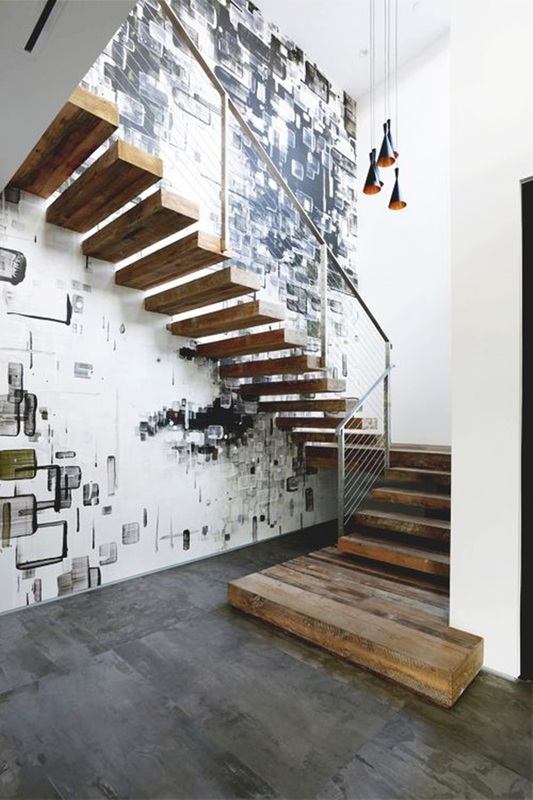 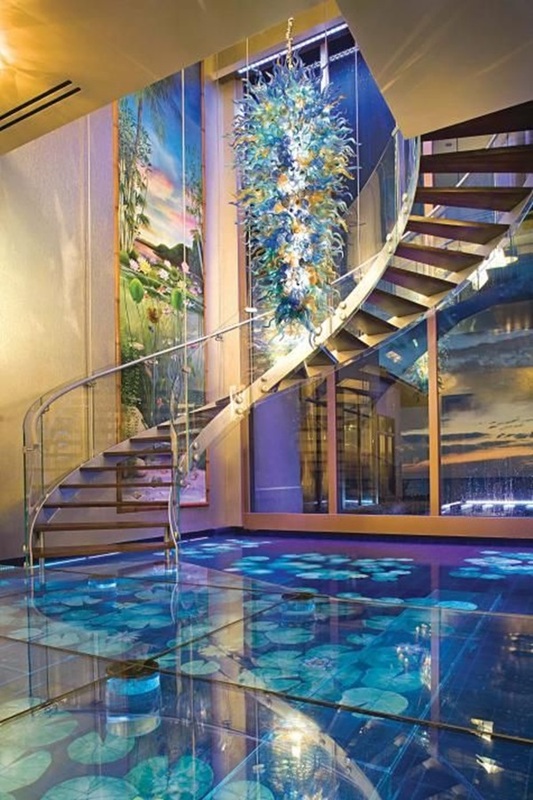 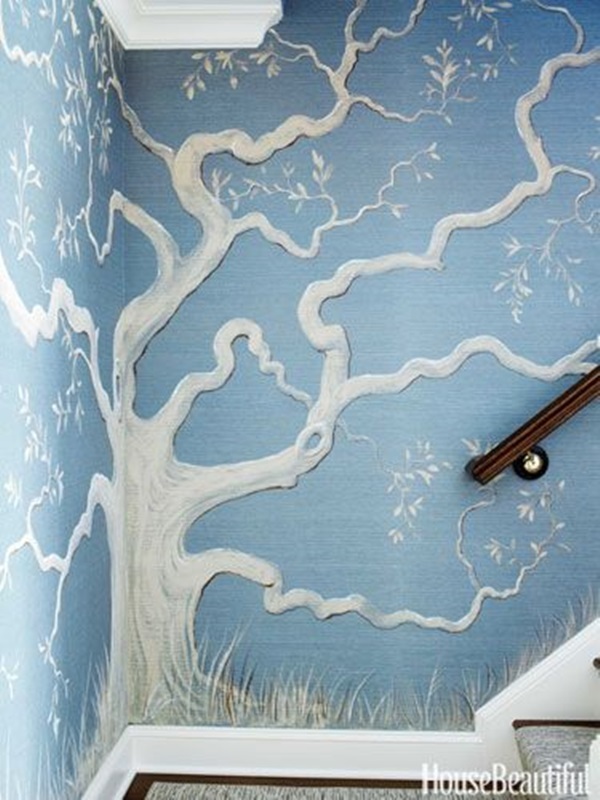 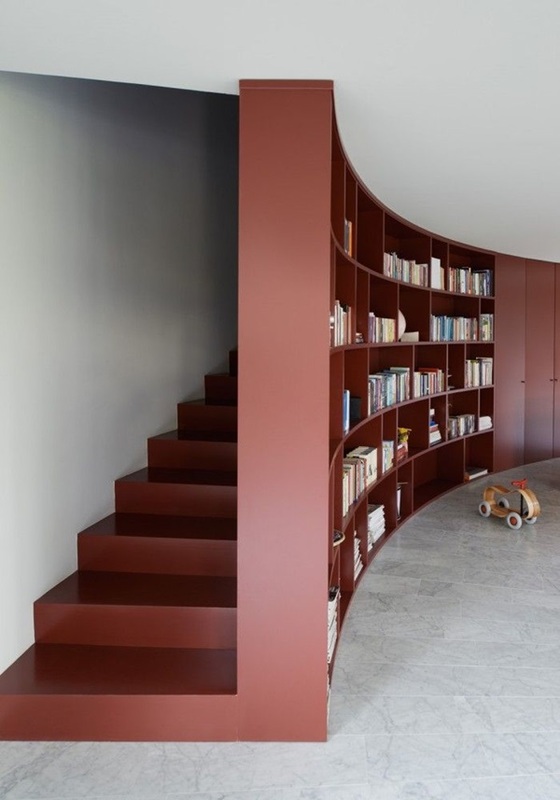 Not only does this add a lot of class to the staircase wall, but also makes a conversation piece. 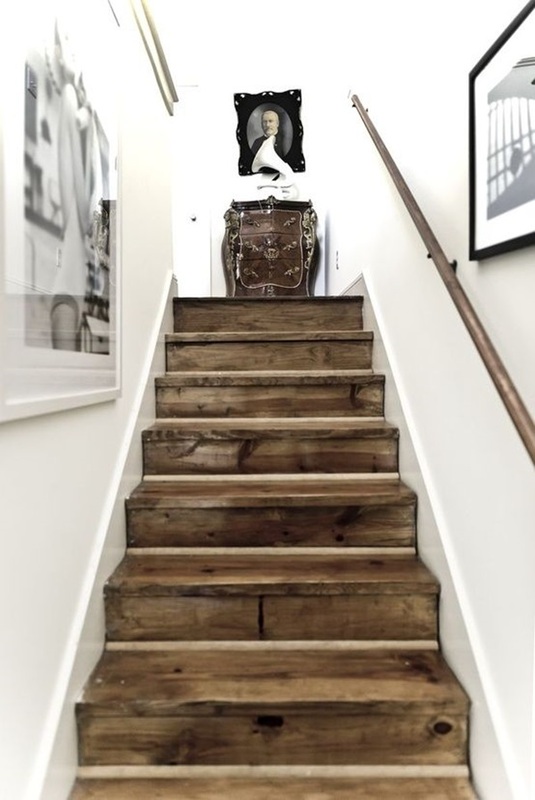 This however, may require some investment in terms of the expense of getting it done and also requires a lot of maintenance. 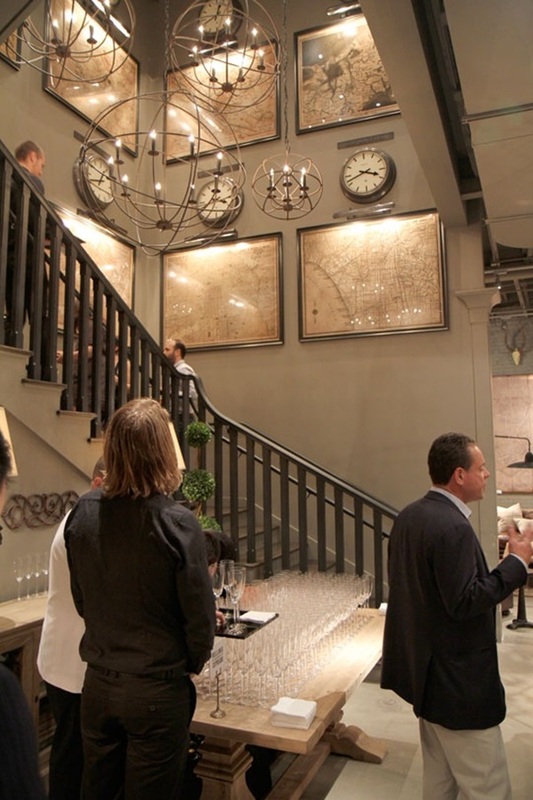 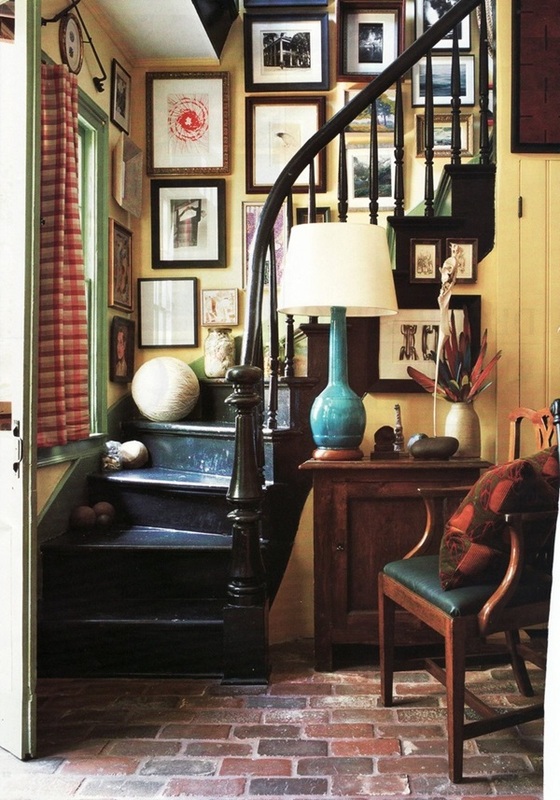 Sconces and lights: This again is a classic idea and is often used because it looks so good and makes a lot of sense. 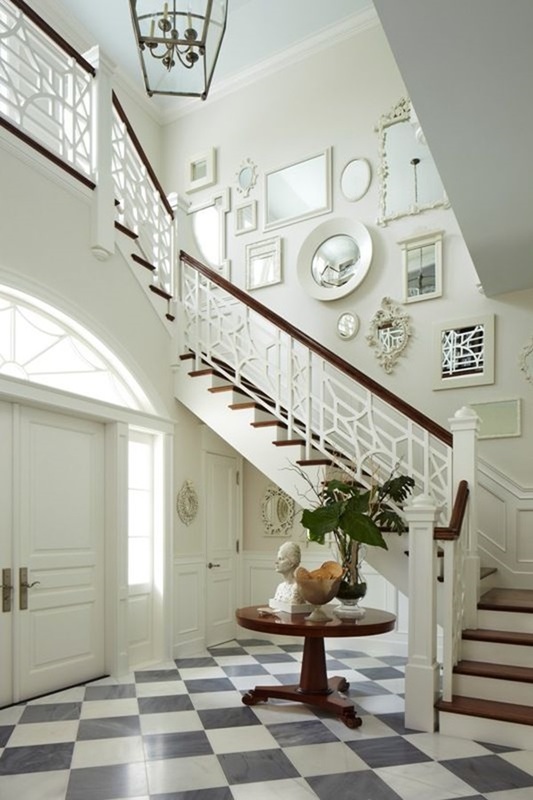 It is indeed a great idea to have sconces installed on the wall at equal intervals and have dim lights installed there. 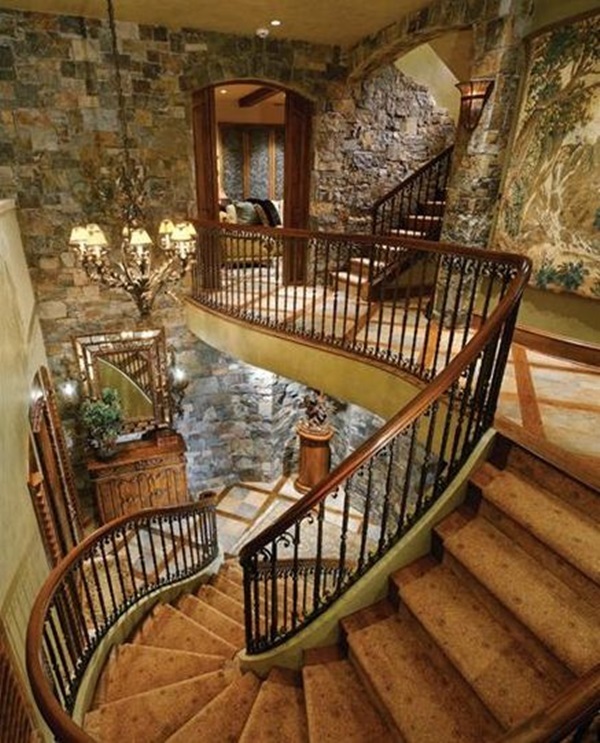 Not only does this look good but also makes sense when it comes to navigating tricky stairs in the dark. 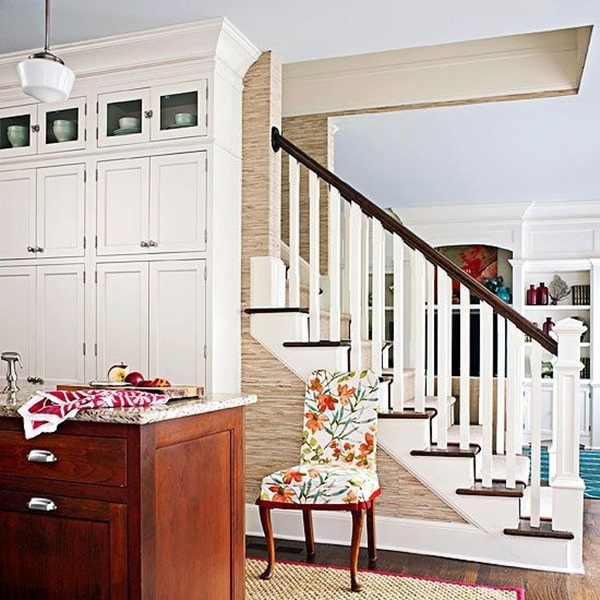 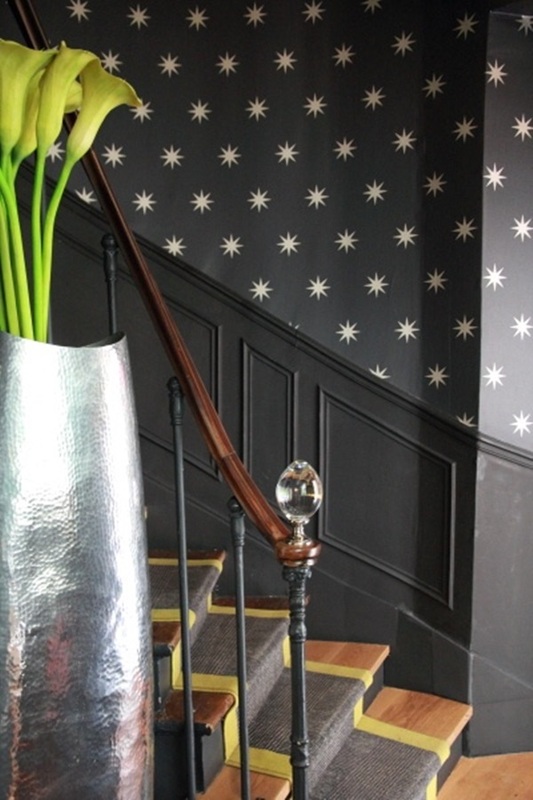 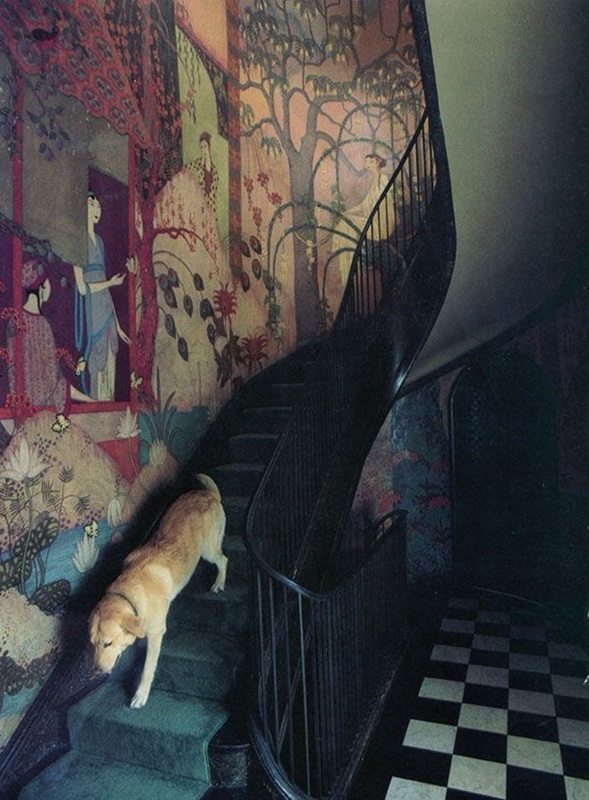 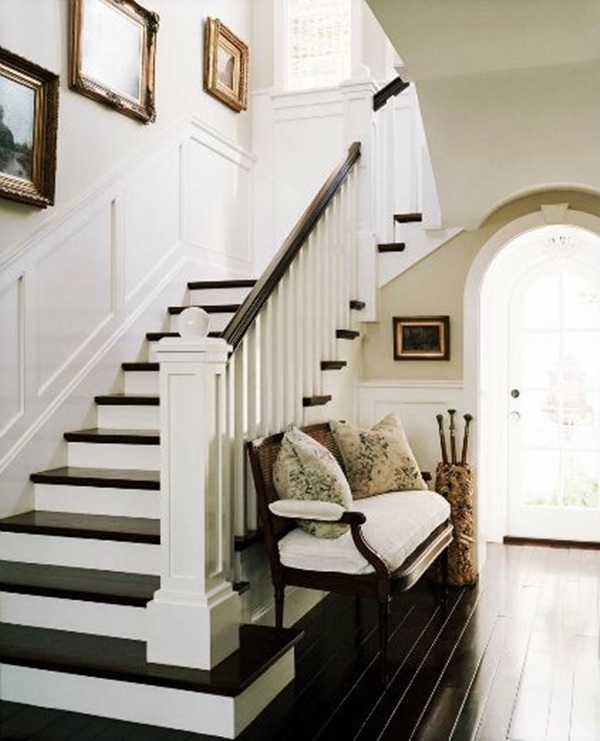 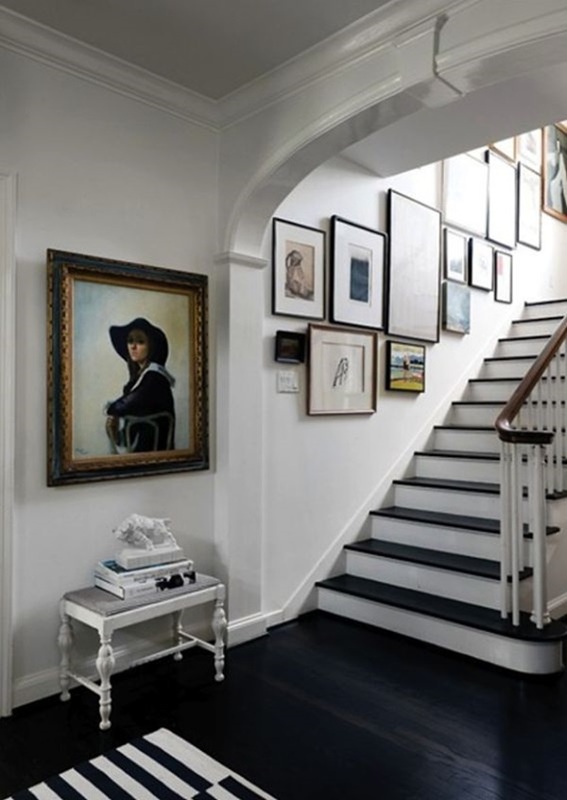 Eclectic collections: If you are one of the types who likes to disregard the normal route of decorating your stair wall, then you can go for elements from all the themes mentioned above. 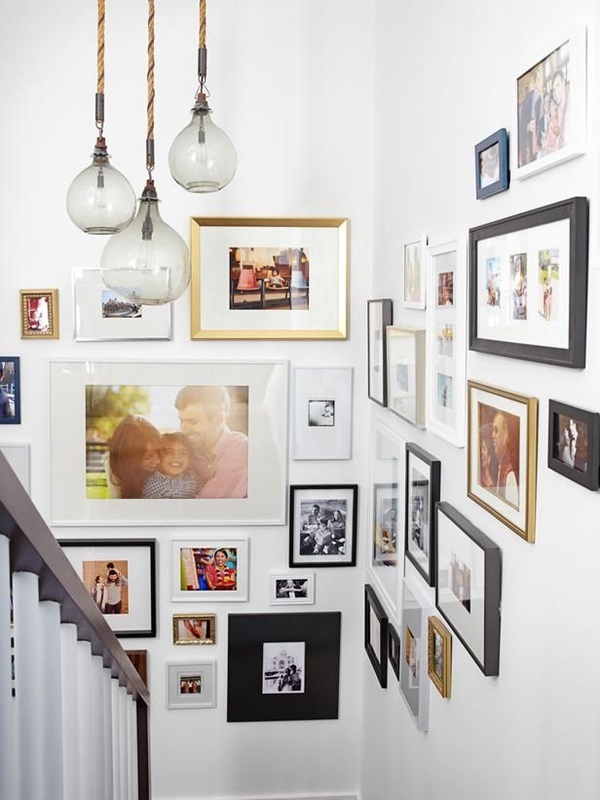 You can pretty much go with whatever feels natural and if you are so inclined also use this space to display the artworks that your kids create on a daily basis. 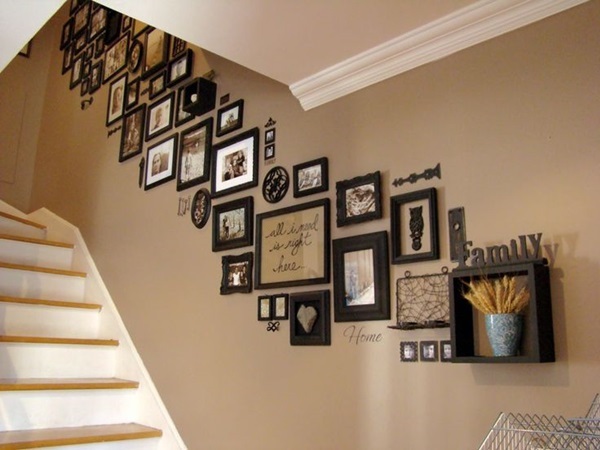 A wall of achievements: This is also another great theme on which to base your decoration of the stair wall. 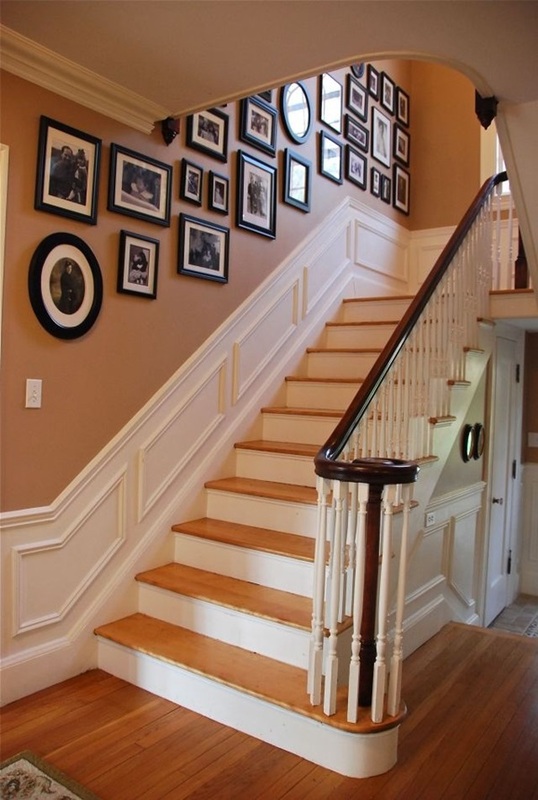 You can use it to proudly display the certificates, recommendations and the trophies that you and your family have won over the years. 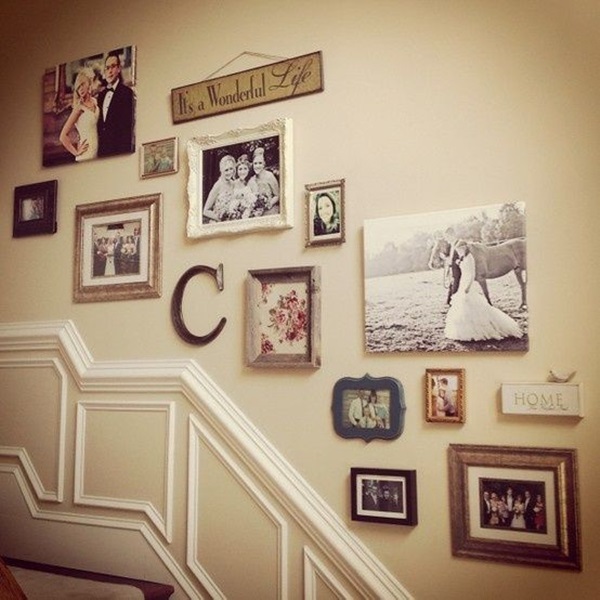 This could make the wall look good and provide an interesting display of the family’s achievements. 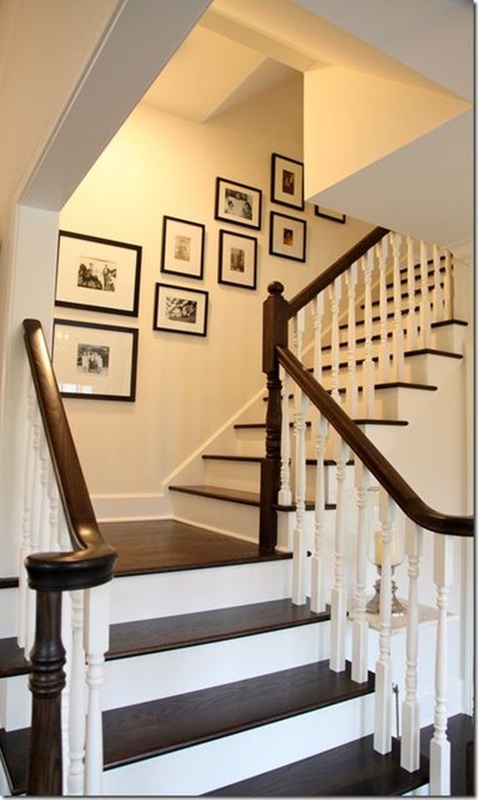 We are sure that the ideas given above along with the images provided here are enough to spark your imagination for decorating your stair wall.